Joint Legal Custody is a type of custody where both parents are required to consult with each other for all major decisions affecting the life of the child. Generally, one parent has the child for most of the time during the year (custodial parent) and the other parent has visitation rights (non-custodial parent). Under such type of custody, the custodial parent is generally not required to consult with the non-custodial parent before making any major decisions for the child’s life. However, a court order can still impose a condition on the custodial parent to consult with the non-custodial parent. Non-custodial parent enjoys the visitation rights with the child under this type of custody situation as well. When you are parting ways with your partner, you aren’t parting with your children. Every parent wants the best for their children and this makes child custody cases to be heated, emotionally charged, and important part of the divorce process. Our child custody lawyers in Fairfax are also parents and understand everything you are going through. When you decide to work with us, the lawyers will guide you through the process and ensure that you reach an agreement that is ideal for all of you. Courts in Fairfax can order a wide range of custodial arrangements for children. The most common ones being joint legal custody, sole custody, and shared legal and physical custody. Our child custody attorneys in Fairfax will help you in choosing the right custody arrangement that will be ideal for all of you. 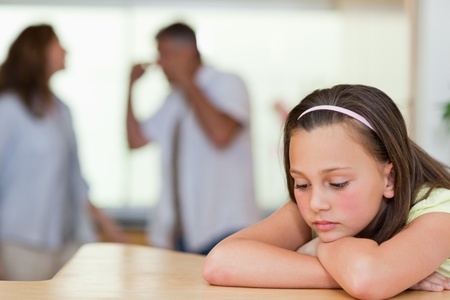 Certain personal situations make a child custody case more complex. One parent might be relocating out of state, one parent might be alienating the other, one parent might kidnap a child, and there might be battles pertaining to guardianship. When you are facing these complex situations, our child custody lawyers will step in and help curb the issue. They will analyze the source of the problem and provide you expert advice on what you should do. If you have to alter the custody agreement, the attorneys will help you do it in the most stress-free method possible. At Mehnaz Khan Law, PLLC, we encourage parents to be imaginative when making child custody and visitation agreements. Our family lawyers will help you come up with plans that allow you to create routines that fit both the parents and children. For this to be possible, both parents have to cooperate. If the parents aren’t in good talking terms, the Fairfax child custody attorneys will work as mediators and help you reach an agreement that all of you are comfortable with. At Mehnaz Khan Law, PLLC we understand that you are going through a hard time and we are here to help. Our highly experienced Fairfax child custody lawyers have the compassion and mastery that will help you achieve positive results that will safeguard your children and at the same time protect your relationships with them. Is there an area of child custody that you don’t understand? Trying to change the nature of the custody order? Not sure about parenting time? Simply contact us and a lawyer will be available for you to help you secure your family’s future. So, let’s talk! Call us now to schedule a meeting with one of our experienced family lawyers. Your call is important to us, and your peace of mind is priceless.